Today we want to show you truly interesting concept. 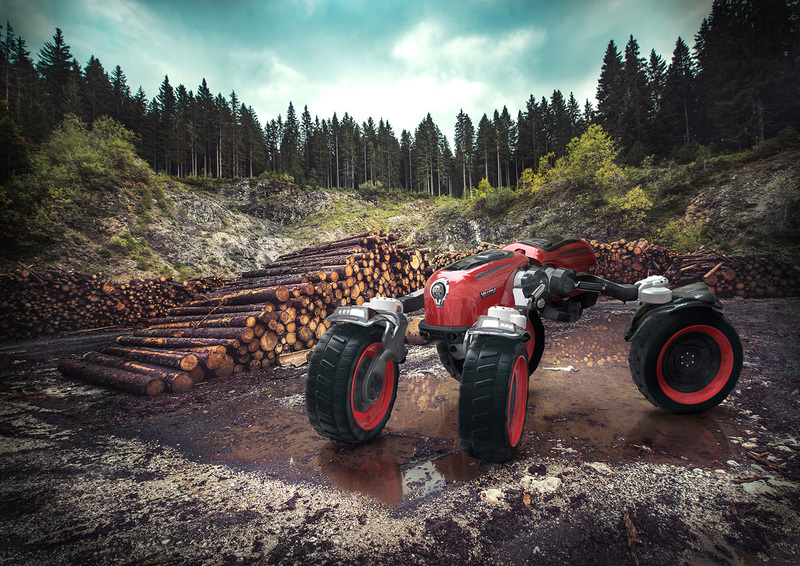 Red by Joona Järvinen is a semi-autonomous machine that aims to improve work safety and productivity wherever it goes. Its unique symmetrical structure enables instantaneous switching between moving directions. Using infrared scanners Red can travel autonomously between assigned fields and forestry sites, but can also be controlled remotely from another vehicle to execute more precise tasks and maneuvers. Red’s purpose is not to replace human labor, but to assist and carry out lengthy tasks to save time for operators. Its overall design combines Valtra’s familiar features with classic characteristics from the 50’s. The name Red comes from its main function: the infrared scanners, but it also resembles the recognizable color brand and powerful spirit of which Valtra is known for. Like it? Then check Ferrari like tractor.